Live with purpose. Love with purpose. Football player Steve Gleason has always played the game of football with determination and purpose, an overachiever in all aspects as an undersized-yet-tenacious linebacker and eventual safety. 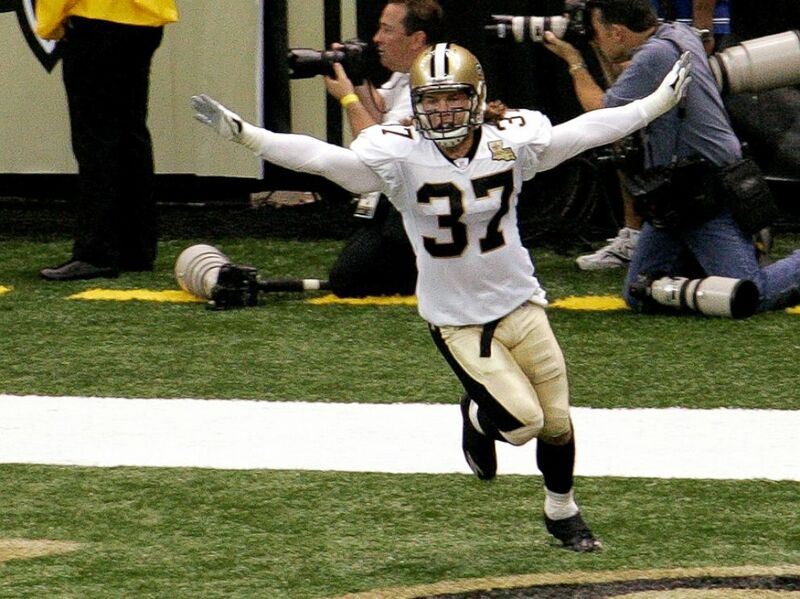 During the New Orleans Saints’ return to the Superdome after the tragedy of Hurricane Katrina in 2006, Gleason became a symbol of rebirth for the city, state, and region, blocking a punt on Monday Night Football that was returned for a touchdown. Five years later, Steve is diagnosed with ALS, a disease in which life expectancy doesn’t often exceed three years after diagnosis. 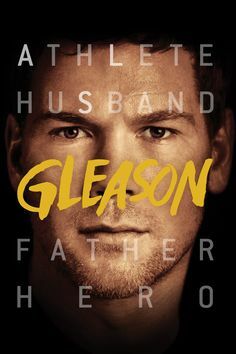 Though debilitating in physical condition, Gleason refuses to stop fighting, and intends to leave his incoming young one with memories about who his father was. From electronic commerce to legitimate media production studio, Amazon.com has quite the features to hang its hat onto, from original streaming programming to well-received and noteworthy films. In the span of 18 months, the studio has distributed Chi-raq, The Neon Demon, Manchester by the Sea, and Gleason, a moving documentary about continuing the fight, no matter what it may be. 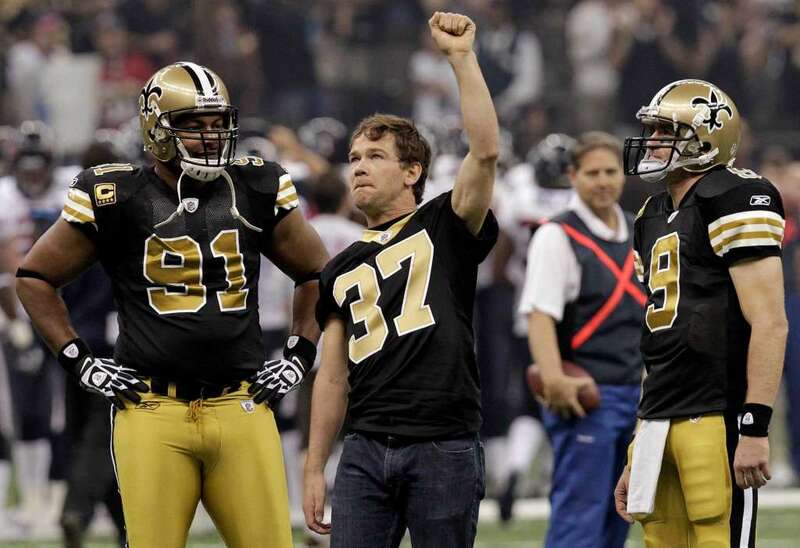 At the end of Gleason, Steve Gleason states “Unfortunately, this is real life. It’s not a movie…” On one hand in the obvious sense, the latter is incorrect as this has made the rounds in film festivals, awards talk, etc. It is clearly a movie in the basic sense. On the other hand, one sees rather quickly that Gleason’s end statement hold a ton a weight. He and director Clay Tweel made this with the clear intent: To be a video diary for his son whom he may not be around to see. I feel like Captain Obvious here saying this, but Gleason is real, more real than most documentaries if that can be believed. No frills or gimmicks whatsoever. It is fascinating and saddening to see a strong, fit young man reduced to an unfortunate soft shell of what he once was, a reminder that the human body is only flesh and bone and some things regarding how it functions just are out of our control. This would be still be a good documentary if it solely focused on Steve. A particular moment in a church is heart-wrenching to witness. But, the feature goes deep into those around him and how they are affected with Steve’s declining health. His wife, Michel, struggles with being pregnant and simultaneously having to take care of her husband. The stress is evident, and it culminates in a powerful scene that brings up the importance of each other in their respective lives, and the toll it takes on each of them; Steve for being unable to improve his condition and help his wife through her pregnancy, and Michel for struggling to remain upbeat. An early scene shows Michel being emotionally hit with a freight train of emotion, realizing that what is affecting her husband is only the beginning. Additionally, the somewhat dysfunctional relationship between Steve and his father, Mike, is examined, and the aspects it covers from religion and faith to the cyclical nature of parenthood. As much as the physical is looked at in this movie, seeing father and son address and accept their shortcomings in their relationship that have little to do with Steve’s current condition proves to be rewarding. Steve’s status as a national symbol is brought up, and as such, the question about how one draws meaning from life when what they are known for, or have done for a lifetime, becomes stripped away from them is posed. No stone appears to be unturned, but if there were one item that could have possibly been addressed, it’s the change in directors from Sean Pamphilon to Clay Tweel, due to Pamphilon releasing audio of then-Saints defensive coordinator Gregg Williams that implicated the coach and the football team in a scandal that promoted injuring opposing players for monetary reward (Bountygate). Hearing Gleason give his detailed thoughts as to why he removed Pamphilon from directing duties would have been appreciated, but including this into the film wouldn’t exactly fit in with everything else, so it is understood why this is left out. As heartbreaking as Gleason can be to view, it is uplifting. Takes a while to experience the feeling, sure, but one can see why this needed to be widely distributed by the end credits as it brings massive awareness to ALS. No matter the affliction, to paraphrase a great speech delivered by legendary coach Jim Valvano: “It cannot touch my mind, it cannot touch my heart, and it cannot touch my soul.” No white flag. Photo credits go to mmqb.si.com, abcnews.go.com, and wgno.com. Nice review. I just saw this movie two weeks ago. Very sad and insightful. I also plan to do a review for it as well. Thanks Jason. Really moving, first time I really saw something about ALS, so it had a lot of info too. Well-made documentary. Seeing Steve Gleason on the sidelines at the (few) Saints games I happen to watch is pretty difficult, and a sobering reminder that just because these giant men play football and seem invincible, they are like the rest of us, totally at the mercy of fate. You would think an athlete who trains his body to be bigger, stronger, faster than the average person — emphasis on the stronger part — would have a better chance of avoiding terrible diseases like ALS, but that’s also so untrue. I don’t honestly know if I want to watch this. I remember watching Lorenzo’s Oil in my grade school years and that was just devastating. ALS is horrible. This was such a tough watch Tom, but, it does have an air of optimism. But boy, it’s gonna hit you in the feels.